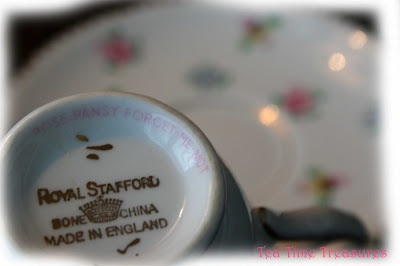 I bought this tea cup last September at a ‘flee market’ just outside Salmon Arm BC. We found this neat little shop on a camping trip through British Columbia. We had fun throughout the trip veering off the highway following signs pointing us to antique stores. We met lots of nice people and snooped through some great antique collections. 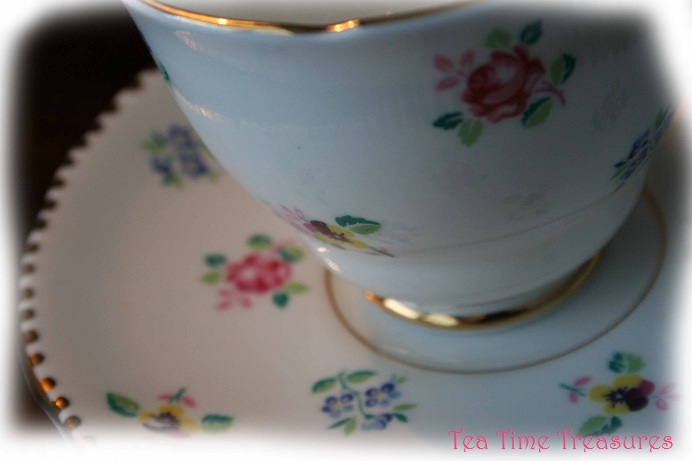 I love the shape of this tea cup. The soft rounded edges are unique. 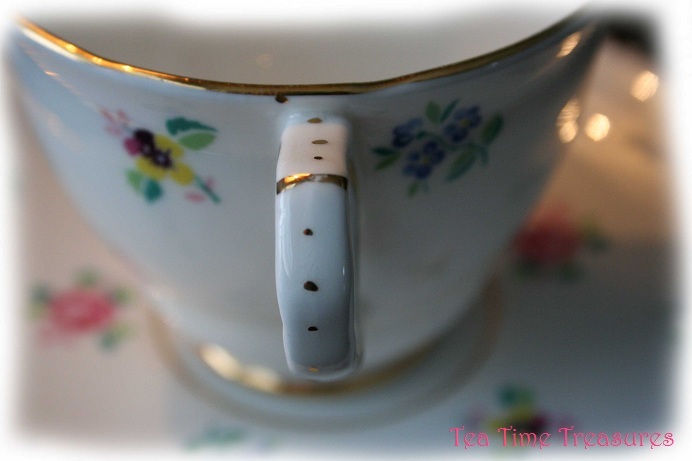 It also has such a cute little handle with little dots along it! I love these Roses, Pansies and Forget-Me-Nots. So fun and pretty! 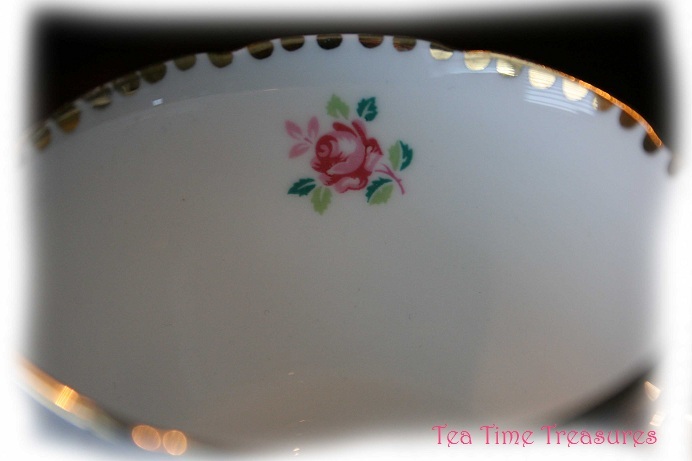 Happy Tea Cup Tuesday! 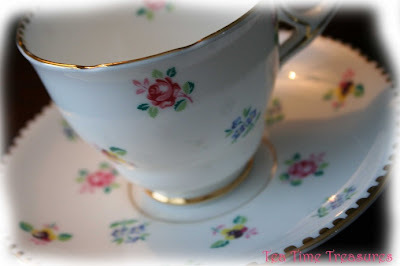 You can visit Martha's Favorites and Artful Affirmations to see more beautiful tea cups! That is a very pretty and dainty cup. It does have a nice shape and a lovely handle too. 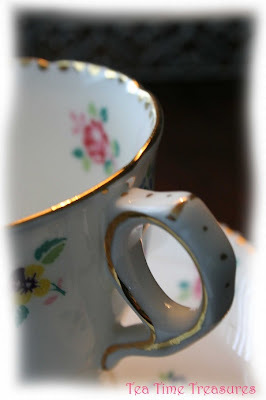 such a pretty cup! love the small flowers! and love the shape.. sweet! What a sweet cup! I love the dots on the handle and the little gold scallops. Pretty flowers too! Sounds like you had a great time.